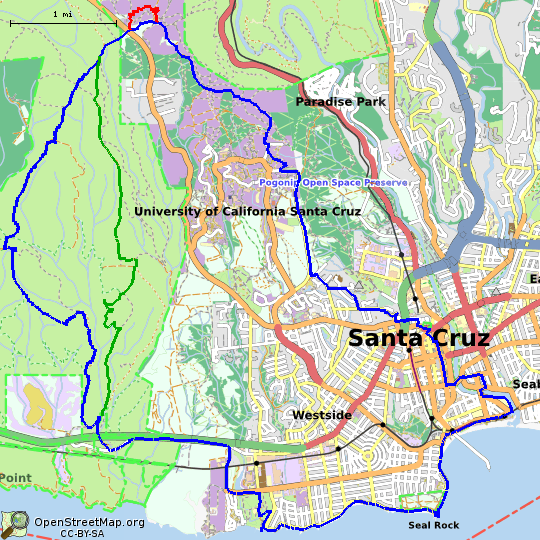 Rob's Ride, one of the top 10 named unicycle rides in the United States, is just under 20 miles with 1550 feet of gross climb through downtown Santa Cruz, the University, the rolling hills of the Wilder Ranch State Park, and West Cliff. The first seven miles include approximately 1250 feet of climbing, and the remainder of the ride is predominantly downhill. Surface conditions are predominantly pavement and fire road (which can be muddy during the rainy season), and there is an optional alternate route that includes technical singletrack. 36" unicycles are the most common equipment on this ride, although a fast rider on a 29" unicycle or a smaller geared unicycle should be able to keep up. Many riders enjoy a geared 36" unicycle on this ride. A brake is helpful on the downhill portions, but by no means required. Due to the steep climbs, very short crank lengths are not beneficial. 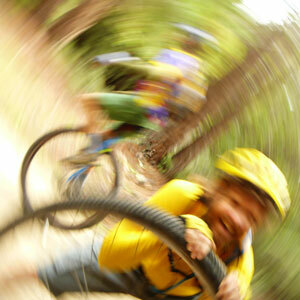 The recommended crank length for a 36" unicycle is 150mm, although short riders have used 140mm cranks with success. 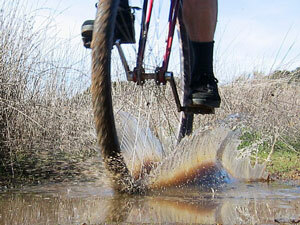 For riders requiring a training wheel, a mountain or cyclocross bike is most appropriate. Just visiting Santa Cruz and can't bring your ride? Don't despair; a number of local riders have spare unicycles available for loan. 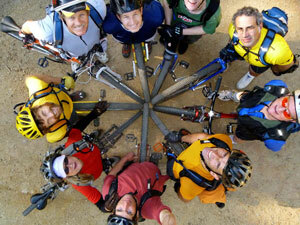 Post on the Google group "unicyclists"; please include your seat height requirements in your request. There is no food, little water, and few restrooms available on the ride, so come prepared. Cellphone coverage is spotty in the University and State Park areas, so be sure you have the parts and tools you need for simple repairs (i.e. flat tires, loose cranks if your unicycle is prone to them). The California coastal weather can change quickly, so it is best to dress in layers that you can remove as the day warms up or add if fog or rain arrive. 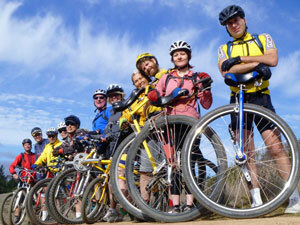 The ride starts at 118 Canfield Street, Santa Cruz, 95060. Take the Ocean Street Exit at the end of SR-17 and continue down Ocean Street to the end. Turn right onto San Lorenzo Blvd. Make your second right onto Canfield Avenue and park. 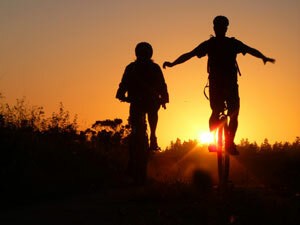 The ride times are usually coordinated on the Google group "unicyclists"; the most common time to fine a group of friends on this ride is Sunday mornings. These maps were prepared to assist those unfamiliar with the route should they become separated from the group. The maps and turn-by-turn instructions include a number of mandatory stops, at which every rider stops and we regroup. Please do not continue from these stops until everyone is together unless you have told someone you are leaving the group or "riding through", lest your friends remain there waiting for you to arrive! Bicyclists: if this is your first time riding with unicycles, please request the "unicycles stop quicker than you" briefing. GPS GPX tracks for these routes are available here (traditional) and here (Longmeadow alternate). GPS GPX weighpoints for the mandatory stops are available here. The inexpensive iPhone application MotionX GPS can preload the base maps and these GPX files for offline navigation. Printable maps and turn-by-turn directions can be found here; printed versions will be provided to new riders.